Most companies with outward-facing dynamic websites face the same challenges: pages must load quickly, infrastructure must scale efficiently, and sites and services must be reliable, without burning out the team or breaking the budget. 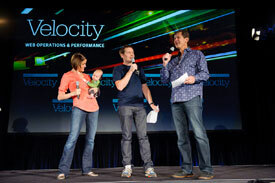 Velocity is the best place on the planet for web ops and performance professionals like you to learn from your peers, exchange ideas with experts, and share best practices and lessons learned. Take advantage of this rare opportunity to meet face-to-face with a cadre of industry leaders who are taking web performance and operations to the next level. Bring your entire team to share ideas and get your toughest questions answered by the experts. 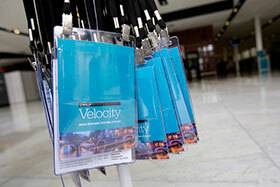 Velocity packs a wealth of big ideas, know-how, and connections into three concentrated days. You'll be able to apply what you've learned immediately and you'll be well prepared for what lies ahead. John Allspaw is Etsy’s Chief Technology Officer (CTO), leading the Product Engineering, Infrastructure and Operations teams. Previously, he was the SVP of Infrastructure and Operations at Etsy. For over 17 years, he has worked in system operations in the biotech, government and online media industries. He began his career running vehicle crash simulations for the U.S. government. In 1997, he made the leap to the web, building the technical infrastructures at Salon, InfoWorld, Friendster and Flickr. John is the author of The Art of Capacity Planning and Web Operations: Keeping the Data On Time, both published by O’Reilly Media. He holds a BS from the University of Massachusetts, Amherst, and an MSC from Lund University. Courtney manages all Velocity-related content for O'Reilly Media. An erstwhile academic neuroscientist, she is still fascinated by the brain and how people learn just about anything. She's been known to teach people how to salsa dance, conduct psychology experiments, or even get air on a mountain bike. When not working on books, Courtney can be found biking, hiking, skiing, and photographing the Cascade mountains near her home in Bellingham, Washington. Steve works at SpeedCurve on the interplay between performance and design. 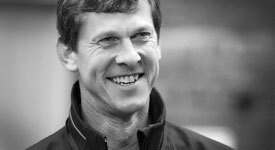 He previously served as Google's Head Performance Engineer, Chief Performance Yahoo!, and Chief Performance Officer at Fastly. Steve has pioneered much of the work in the world of web performance. He is the author of High Performance Web Sites and Even Faster Web Sites. He is the creator of many performance tools and services including YSlow, the HTTP Archive, Episodes, ControlJS, and Browserscope. Michael Brunton-Spall (Government Digital Service) is technical architect at the Government Digital Service. He travels the country helping government agencies and services embrace the digital now. Previously he worked at the Guardian for six years, helping to build and scale the website, building the API, helping run the platform team and acting a developer advocate, talking at conferences and events. Andy Davies (NCC Group) is Associate Director for Web Performance at NCC Group, working with clients to measure and improve the performance of their web sites. He recently wrote the “The Pocket Guide to Responsive Web Performance” for Five Simple Steps. Jay Edwards (PalominoDB) is the CTO at PalominoDB. As the first database administrator at Twitter he experienced a gamut of growth ranging from a handful of servers to thousands. While the Lead Database Engineer for President Obama's 2012 reelection campaign, Jay did a lot of things that are still covered by an NDA; we can say that he managed a large number of disparate data sources and provided a high degree of technically focused management. Arjan Eriks (Schuberg Philis) Before worked for Schuberg Philis, before working for web operations in the airline industry. He implemented automated deployment and continuous delivery in the airline industry in 2002. In 2005 he moved to Schuberg Philis where he and his team ran large scale trading, banking and retail infrastructures. Currently he is Cloud Director and drives innovation in the mission critical market place. Arjan is one of the founders of the dutch DevOps community. 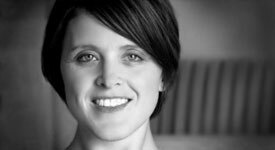 Nicole Forsgren (Chef) is an expert in IT use, DevOps impacts, and communication and knowledge management practices, particularly among technical professionals. Her background spans analytics, enterprise storage (specializing in RAID performance), cost allocation, user experience, and systems design and development. 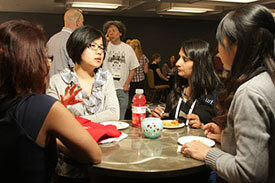 She is a featured speaker at industry and academic events and is involved in women in technology initiatives. Keyur Govande (Etsy) is a principal software engineer at Etsy. He's part of the Systems Engineering team and helps keep MySQL, HHVM, PHP, Gearmand, Memcached, and the Linux kernel running smoothly. He's been with the company for over 4 years. Prior to Etsy, he was a staff software engineer at PayPal. Ilya Grigorik (Google) is a web performance engineer and developer advocate at Google, where his focus is on making the web fast and driving adoption of performance best practices. Joshua Hoffman (SoundCloud) is a security focused system administrator and technical instructor, Joshua Hoffman has trained ops staff from the west coast to the far east in practical, efficient, and effective system management and automation. Hoffman created major portions of Red Hat's acclaimed System Administration training program and certification exams. Arun Kejariwal (Twitter) is a software engineer at Twitter, where he works on research and development of novel techniques for time series analysis. Prior to joining Twitter, Arun worked on research and development of practical and statistically rigorous methodologies to deliver high performance, availability, and scalability in large-scale distributed clusters. Some of the techniques he helped develop have been published in peer-reviewed international conferences and journals. Bruce Lawson (Opera ASA) advocates open standards for Opera. He's been involved in explaining and making web standards since 2002. He co-wrote the first book on HTML5, contributed to the W3C's Mobile Web Best Practices and was a member of the Web Standards Project. 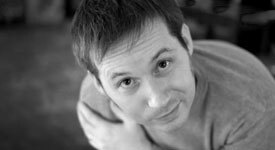 Aaron Peters (TurboBytes) has worked with the Web since 1997 in the areas of Product, Business Development, UI and Tech. Aaron worked as an independent web performance consultant from 2010-2012 and then co-founded TurboBytes, an innovative multi-CDN service. Jonathan Reichhold (Twitter) is an Engineer at Twitter, and formerly worked at Evri, Blue Origin, AOL Search, Singingfish, and Boeing. He's technically a rocket scientist. Gareth Rushgrove (Government Digital Service) is a professional and experienced software developer based in Cambridge, UK. By day he works for the UK Government fixing the internet. By night he curates the devops weekly email newsletter, hack on various open source projects, organize local Meetups in London and write tutorials or articles about software development and web operations. Baron Schwartz (VividCortex) is founder and CEO of VividCortex, the best way to see what your production MySQL servers are doing. 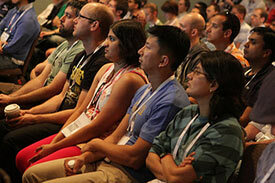 He is the lead author of High Performance MySQL and a variety of open-source software. Anna Shipman (Government Digital Service) is a technical architect at the Government Digital Service, doing development, web operations engineering and building platforms. She likes Perl, Go, Ruby and Python. She blogs http://www.annashipman.co.uk/jfdi.html tweets @annashipman and is always up for a game of pool. Stephen Thair (DevOpsGuys) loves website operations. He’s pretty much done every job from pulling thin-ethernet cabling through floor spaces, racking servers, deploying websites, killer load testing through to managing high-performing WebOps teams for major UK online brands. Jeroen Tjepkema (MeasureWorks) is a serial entrepreneur and founder of @GrowthTribe, @MeasureWorks, a startup mentor and public speaker. With MeasureWorks the focus is on speed, usability and analytics. With GrowthTribe he enables companies to find their zero day exploit and build sustainable growth engines. As startup mentor he helps companies accelerate their quest for the right online strategy and product market fit. Next to this, Jeroen is a regular speaker and active in (co-)organizing events such as Startup&Measure, Dutch Web Performance meetup and Webperfdays Amsterdam. Connect with Jeroen on linkedin. Betty Tso (Amazon) currently manages the AmazonUI engineering team, building the front-end platform that is modernizing Amazon.com's FE codebase. It's an opportunity to enforce front-end best practices, make Amazon's retail sites lightning fast, encapsulate the minutia of cross device/browser compatibility, and enable site-wide user experience experimentation.